Some cities like Austin, Texas, or Detroit are blessed with corporate sponsors who donate the funds need to cover a community in Little Free Libraries, but not everywhere is so lucky. 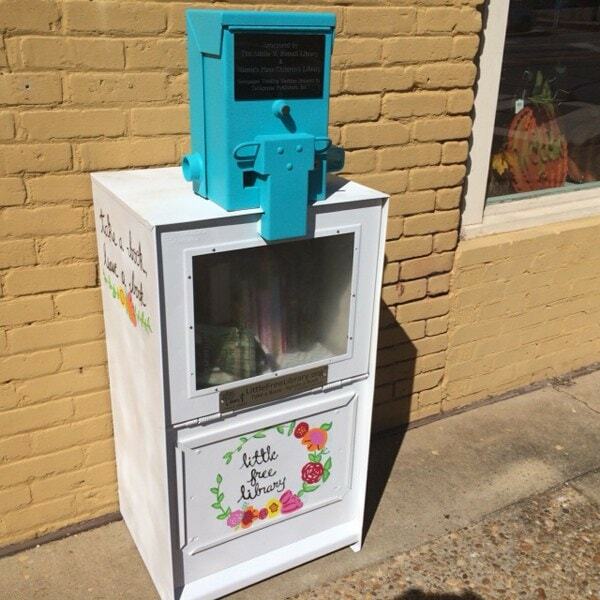 The local NBC affiliate in Alexander City, Alabama reports that the Adelia M. Russell Library and the Mamie's Place Children's Library have pooled their resources and opened their first Little Free Library. 'Take a book, leave a book.' That's the mantra for the Little Free Library in Alex City. The concept started in Wisconsin in 2009 and it's sweeping across the country. The idea is to promote literacy and community involvement. With the Little Free Library, the books are literally free, but the catch is when you take one home to read, you should replace it a book of your own. Monday morning the woman behind Little Free Library in Alex City took what used to be a newspaper vending machine and supplied the machine with the first set of books. The community isn't fully aware of the Little Free Library, but organizers are convinced residents will in due time. The Little Free Library is located in front of Carlisle's, an old fashioned soda fountain, at 12 Main St in Alexander City. It will feature both kids' and adult books, and while there of course is no charge to utilize the library, it is expected that most patrons will replace the book they take with one of their own. The equipment for the Little Free Library was donated by the local newspaper, and the idea came from Jamie Foshee, a new employee at Mamie's Place. "I saw my very first Little Free Library while visiting relatives in Minneapolis," Foshee said. "Many of the homes in neighborhoods there participate. I think the idea of a community coming together to share their love of books is a wonderful thing! It could be life changing for a person to find the right book at the right time."